Health experts say the Clark County measles outbreak appears to be encouraging people to get vaccinated. Clark County public health director, Dr. Alan Melnick, said the measles outbreak is still evolving. And he doesn’t expect it to end soon. But he’s hearing from doctors and pediatricians that people are coming in to be vaccinated — including children whose parents, up to now, have been hesitant. “I mean, this is a lousy way to get vaccination rates up. I wish we had vaccination rates up ahead of time. I wish it didn’t take an outbreak, and one child already being hospitalized, to get vaccination rates up,” said Melnick. He said that while demand for the vaccine is increasing, there appears to be a good supply. 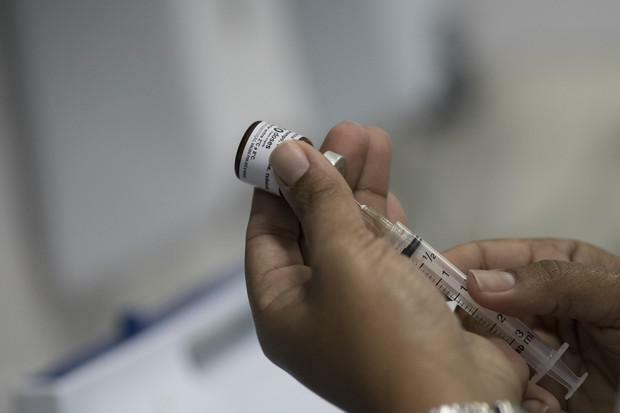 Doctors are asking that anyone who’s suffering from measles symptoms, like a runny nose, cough or fever, to call ahead before walking into a clinic or hospital.